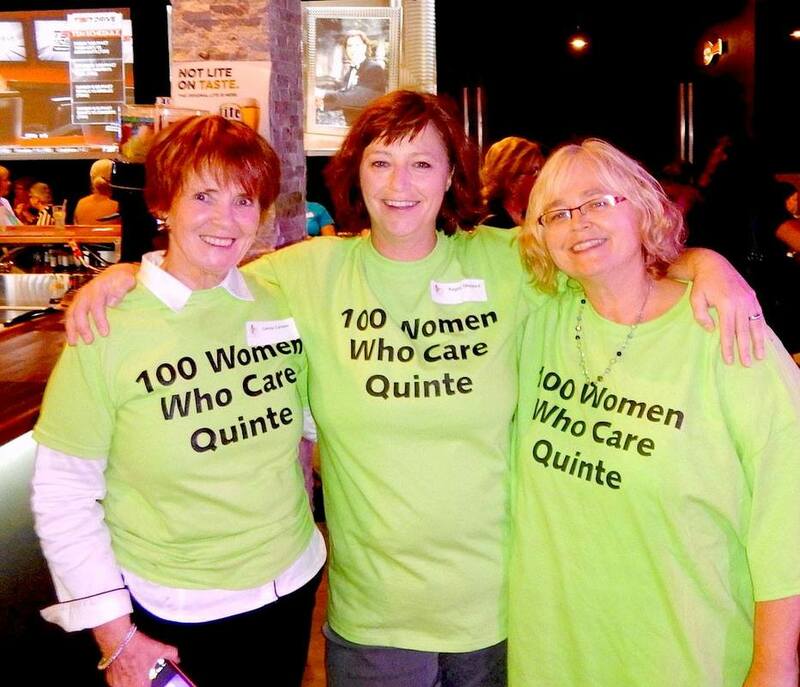 100+ Women Who Care Quinte is dedicated to supporting the non-profit and charitable organizations in our community. At just one meeting, watch how 100+ individual commitments turns into a minimum $10,000 donation for a worthy cause right here in Quinte and the surrounding area. Do that four times a year and witness how over $40,000 can improve the lives of our neighbours when placed in the hands of those working to serve our community. Each member (an individual or a team of 2-4) agrees to donate $100, four times per year, for a total donation of $400 annually, which will be given directly to registered charitable organizations serving the Quinte area. 1. The first step, is to register as an individual or in a team of 2-4 people. 2. Next, consider nominating a charity. Any member who has registered may nominate a charity. At our meetings, we will randomly draw three nominated charities. The nominating members of these three randomly selected charities will make a five minute presentation about the charity to the group. Should the nominating member wish, she may ask another member to present about the charity on her behalf. Charities under consideration must serve Quinte and surrounding area, be in existence for at least one year, and be registered. 3. Vote for a charity at our meeting. Each registered member in attendance at our meeting is given the opportunity to vote (by ballot) for one of the three charities during her attendance at the quarterly meetings. There is no proxy voting. Ties will be decided by further votes. If a tie persists, the membership will vote to either (1) randomly select one of the tied charities by draw; or (2) divide the group donation equally between the tied charities. 4. Donate to the charity that receives the most votes from members at the meeting. ​5. Look forward to the next meeting! Each member will write a cheque for $100 to the charity receiving the most votes. The selected charity will receive a group donation from us of over $10,000. Members will receive a tax receipt directly from the charity after they've donated. 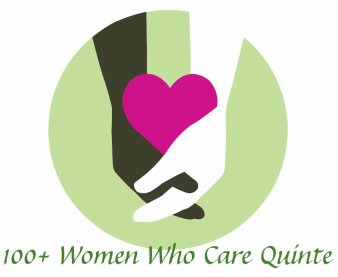 Members who are unable to attend a meeting are expected to send their cheque with a trusted member or mail it/drop it off to 100+ Women Who Care Quinte c/o Belleville Chamber of Commerce, 5 Moira St. E., Belleville ON K8P 2S3. For tax receipts, the charities will be issuing directly to members; therefore, please ensure your complete address is on your cheque or in the MEMO line. The tax receipt will be issued to the name on the cheque. If you are paying with a business account, please make a note of your name. Please do not fill anything in the 'Payee' line of the cheque as the recipient will be decided upon at our meeting. We ask that one member donate on behalf of a team in order to make this process easier. For teams, the person that writes the cheque or donates cash will be issued the tax receipt. A charity not selected at one meeting will need to be re-nominated online for consideration at a subsequent meeting. No Nominations will be carried forward, effective June 2017. Each meeting a new set of Charity Nomination Forms will be reviewed for eligibility and nominations announced at the meeting. A successful charity who receives our group nomination is not eligible for future consideration, but the nominating member may submit the name of another charity. The recipient of funds from the prior meeting will give a five minute update on how the funds donated at the previous meeting were used by the successful charity.